SophisTEAcation, by Desiree Sitompoel, was a delightful project on which I served as editor and content developer. It was pretty much a dream come true to attend the London Book Fair in April for the launch of SophisTEAcation: An Anthology of Porcelain Teacup Collecting. When publisher Laura Prinsloo of KeSaint Blanc Publishing in Jakarta, Indonesia asked me to develop the content for a unique coffee table book on the art and collecting of porcelain teacups, I thought I’d died and gone to heaven. Really? You’re going to PAY me for this? You see, I’ve loved teacups since I was a little girl and observed my grandmother’s and great grandmother’s collections, loving the way they clinked the tiny silver spoons against the china cups as they and my mother stirred their tea. And when I got to drink from my own cup …. oh, bliss! There was a teacup shower for me when I was a young bride, and then over the years I accumulated my own collection, and my china cabinet is now blessed to be home to some of the very cups, creamers, and sugar bowls that once belonged earlier generations of women in my family. All that to say, this was a fun project. 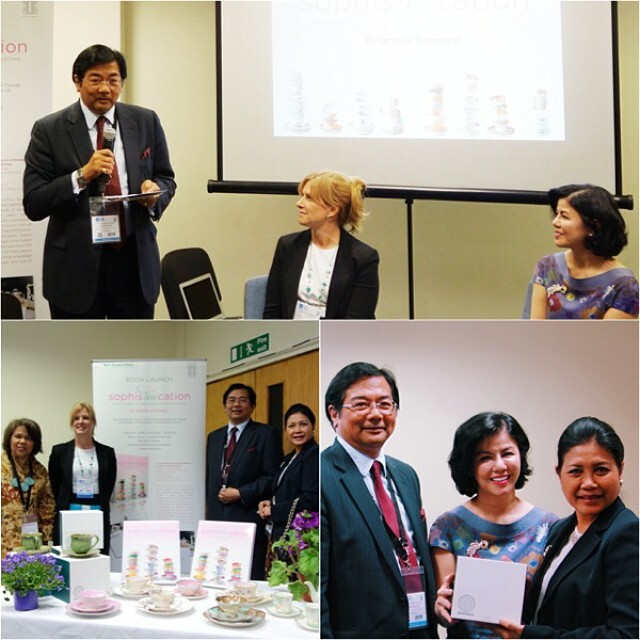 So it was icing on the cake when I was invited to fly to London, along with the publishing team from Jakarta, to participate in the launch of SophisTEAcation at the London Book Fair! It was great fun to meet Laura and byline author, artist, and teacup collector Desiree Sitompoel as they are both delightful and SO talented. Desiree owns an impressive porcelain teacup collection and a teacup shop in Jakarta (“Mamitoko”), which were the basis of the book. The Indonesian Ambassador to the UK attended and gave a speech at our launch, and took the whole team out to dinner at a lovely Chinese restaurant in Kensington afterwards. What a treat. Right now SophisTEAcation is only available through the Indonesian publisher, KeSaint Blanc in Jakarta, although they are actively selling international rights and they hope to have it soon in the US, Canada, and elsewhere. (Last I heard it had been picked up in England, the Philippines and Poland). You really have to see it to appreciate the stunning photography, exquisite typesetting, vellum pages, and just overall ooh-and-ah factor! 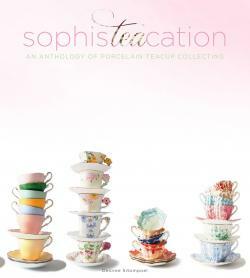 It covers the history of the teacup and favorite brands, how to start your own collection, proper tea etiquette, how to care for and display your teacups, and so much more. 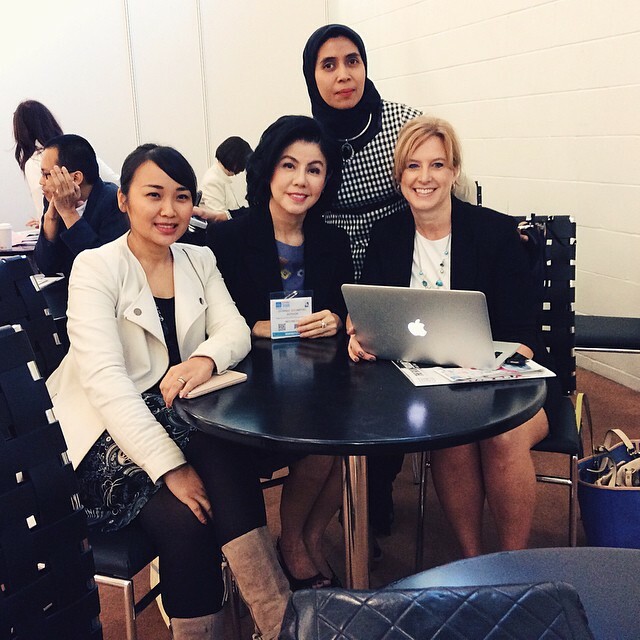 Just for fun, you can see the Indonesian TV coverage of the launch of SophisTEACation here. I hope you get the chance to obtain a copy someday!